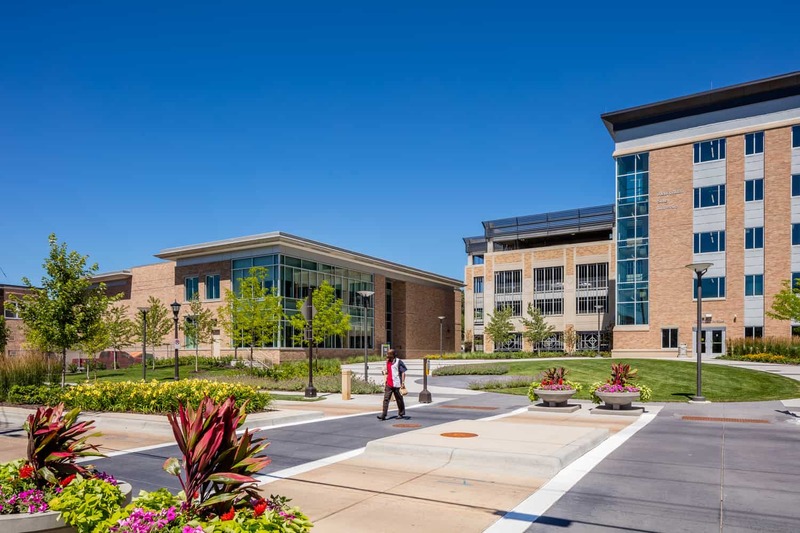 As the only four-year urban university in Minnesota State’s system, Metropolitan State University serves as a connector between the non-traditional learning and local communities. 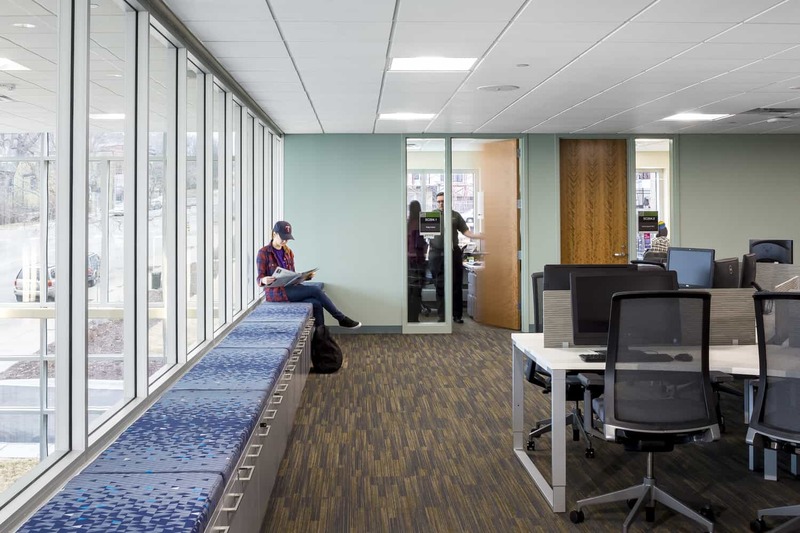 For Metro State’s population of part-time, adult, and first generation students, campus has always felt like home; however, after significant growth, a physical space to gather and learn outside of the classroom was needed. 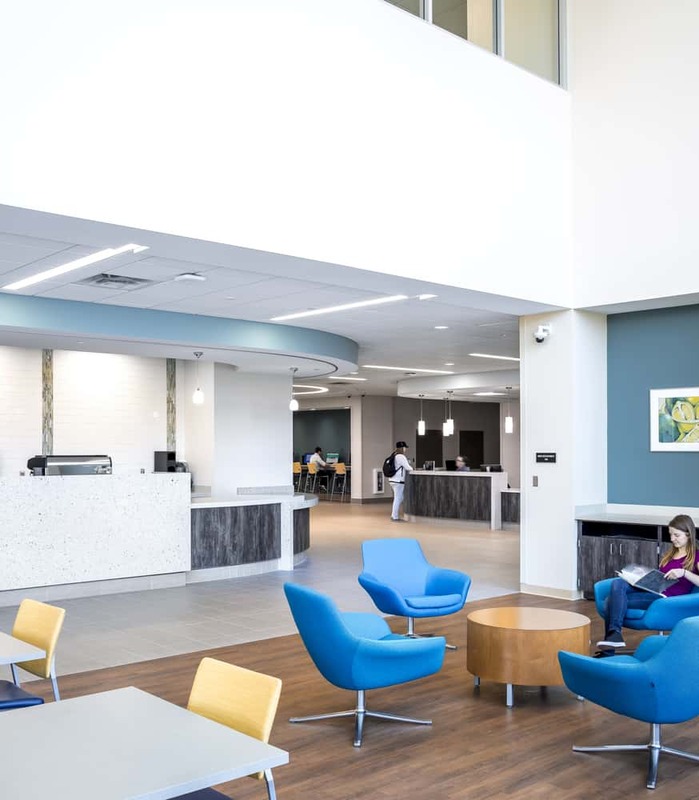 With BWBR’s design help and a fast-tracked schedule, the new Student Center fulfilled that role for the first time on campus. 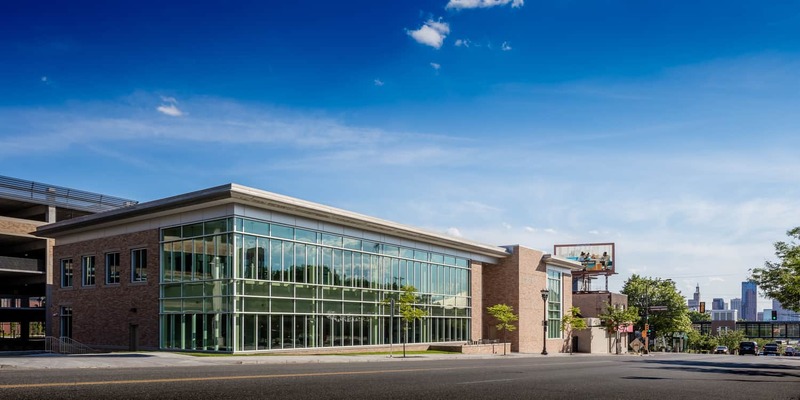 The center flanks an active main street that runs parallel to campus, organically connecting Metro State to pedestrian traffic and local businesses. 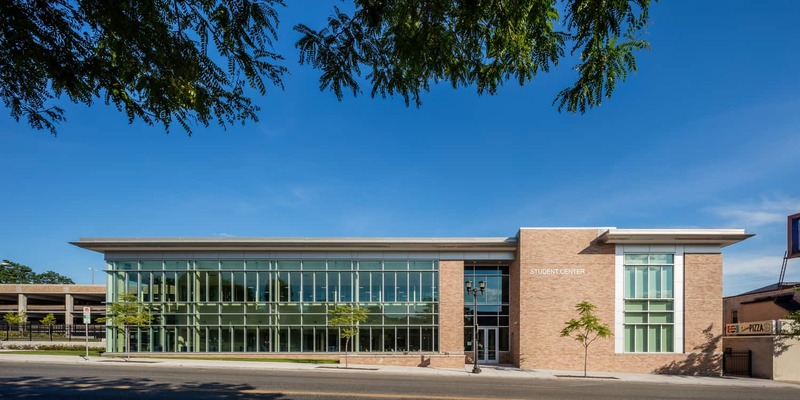 Sweeping two-story glass walls flood the building’s interior with daylight and transparently involve the public in student activities. 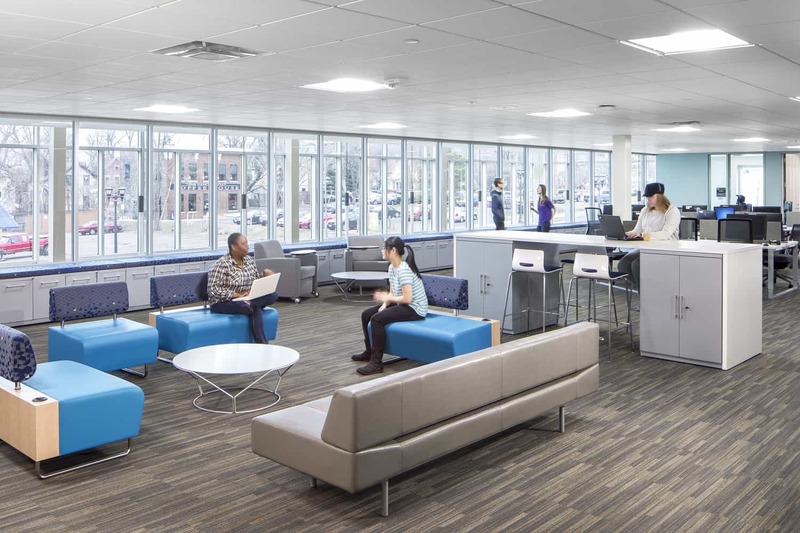 Special accommodations to support the many variations of post-traditional learners were considered in all areas of design. 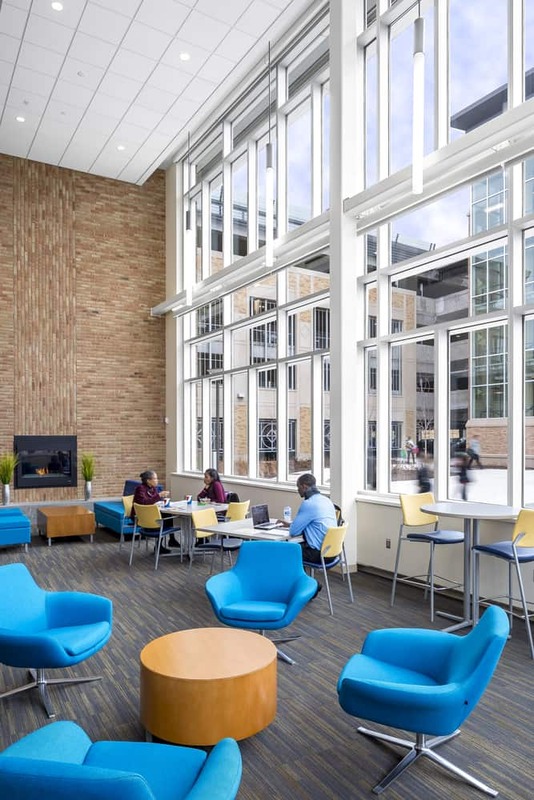 An informal lounge with a fireplace is a key student destination, with furniture arranged in clusters to provide multiple studying and gathering spaces for both single users and small groups. Gender-neutral restroom facilities afford privacy and dignity. 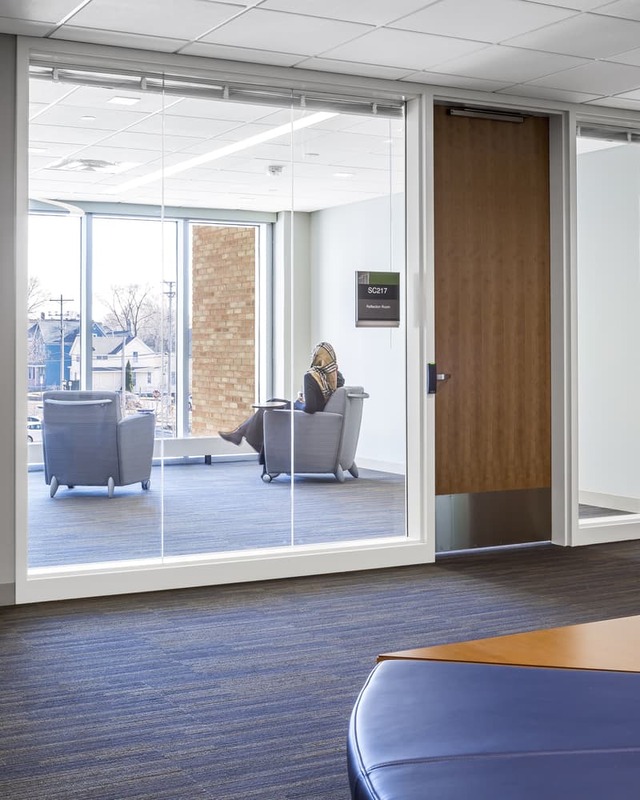 Considering that some students have families with young children, a study room connects to a children’s play space which is clearly visible through large-paned windows. 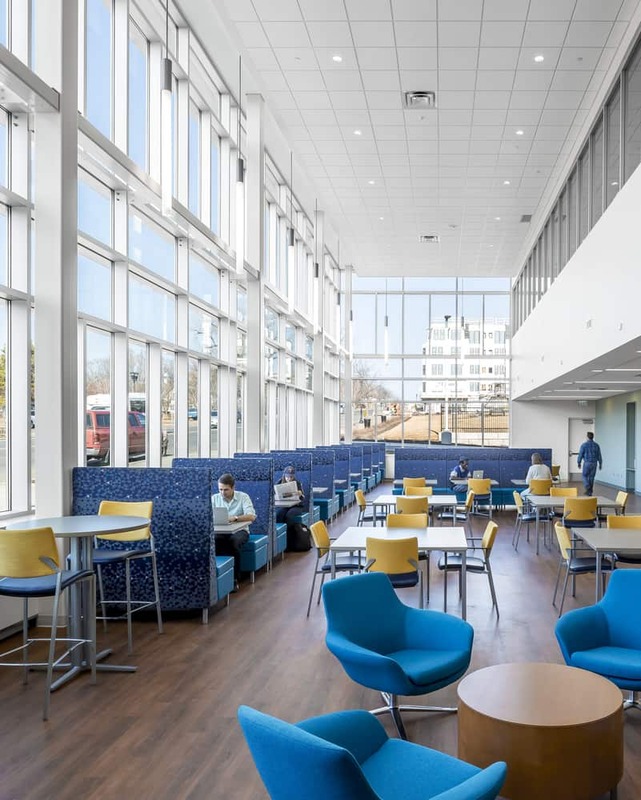 Flexible, adaptable, and sustainable, the new Student Center has become a hub of interaction and collaboration for this diverse urban population. 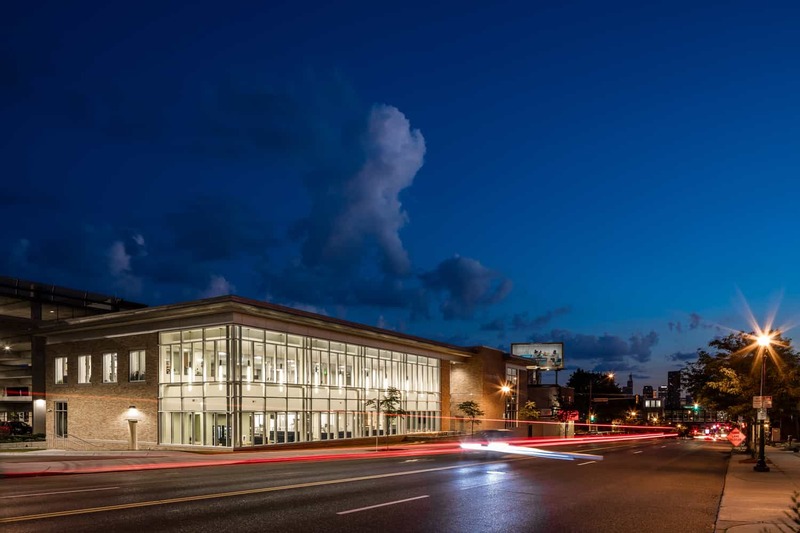 Designed in collaboration with Stantec.